I wish! Welcome to my annual list of Casting Directors who did not get nominated for an Oscar because there is still no Academy Award for casting. 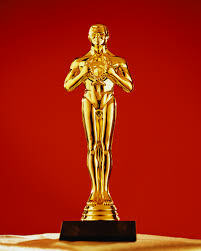 A casting “branch” was created by The Academy of Motion Picture Arts and Sciences in 2013 which was somehow a positive step 84 years after the awards were founded. Phooey. As a casting director who works exclusively in the factual television & digital genre I’ve got no skin in the game except total respect for the talented women and men who love actors, storytelling, the creative process and collaborating with an extraordinary eye for talent. Talk about Hard Choices. I feel the movies I loved could not have been the same with different casting choices! Hidden Figures, Moonlight or Nocturnal Animals. Side not I want to see The Red Turtle heard it was great! According to casting director David Rubin, one of the three casting directors serving as a Academy Governor, Stalmaster was the innovator who could see how the role of a casting was evolving and was therefore the first to set up his own business as an independent casting director.